What is being dubbed a “micro location,” the first such branch will open next week in a Montreal residential building with just four employees in a 900 square foot space. 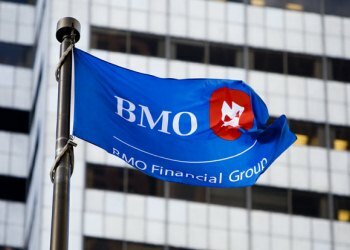 BMO’s move deserves praise, says Ross, but not for originality. An estimated 15 “micro branches” at a time are expected to open across Canada, with customers able to get mortgages, discuss retirement planning and children’s education saving. Layth Matthews, CEO of RateMiser Mortgage Advisors, feels the BMO experiment does have legs and should work so long as costs remain under control. Matthews believes the location of the micro branches in the retail sections of condominiums will provide “a captive market,” but also feels that most clients today don’t base their mortgage decisions on convenient locations. TD did in it in the mid '90s when they put sub branches in Walmart stores.. but just ask any of the Td staff how much they enjoyed working with a Walmart crowd... not exactly the type of clients they were looking for... not a success story..
That's just a natural progression.. It was only a few years ago that BMO was closing all their retail spaces that they had in local grocery stores in the Halifax, N.S. area. I guess they had a change of heart. I wonder what has change?